Yesterday, we provided some relatively easy tips on how to maximize the use of videos in elevating SEO potential. Videos are one form of rich media that currently have relatively minimal competition in many search results, due in part to the amount of effort that is required to produce them. As such, webmasters and bloggers may find it easier to break through the noise in search results with videos than with more traditional forms of media. The optimization and inclusion of videos will not only boost SEO potential for those videos, but can have the same effect for all of your website’s content. 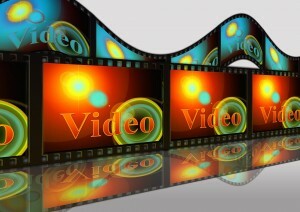 We’ll review today a few more ways in which you can utilize videos to better augment your SEO efforts. Anybody can make a video, but not everyone can create a video with real value. Whether your long-term goal is paid marketing campaigns, email marketing or informative add-ons for a blog post, there is an inherent need for video content that provides real value and information to viewers. The premise is very simple: a video that solely seeks to self-promote will not do a good job at reaching and influencing its intended audience. Since video content with SEO potential must be enjoyed by those who click on it, it is necessary to ensure that the videos being shared have core relevance to the audience. Whether it be a how-to or coverage of current events, every video should have some relevant information for the viewers in it. Not all videos available on the web are easily found, shared and accessed. If you have worked hard and put much time and energy into the creation of a video, then you want it to succeed. In order for it to succeed, it must be in a position where sharing, commenting and other forms of engagement are made possible. Pinging users with videos that can be shared (ideally, from either Facebook or YouTube) will ensure that the long-term reach of your video continues to grow and grow. It is also ideal to embed videos when possible in blog posts and pages – rather than merely linking to them – as this makes it easy for visitors to find the video and access it without having to leave the page. Not all videos are created equally. Some people go above and beyond the standard video creation process by including interactive features for users to use. Annotations and links that are built into each video make it possible to turn a great piece of content into a lead generation platform. Whether you want someone to answer a few questions about the content in the video, take a survey, purchase a product or sign up for a service, there are many ways in which to transform standard videos into interactive elements. Pinging users with these options will not always result in engagement, but videos that ask users to interact further with the brand often do generate more clicks, likes, shares, subscriptions and other factors of engagement.